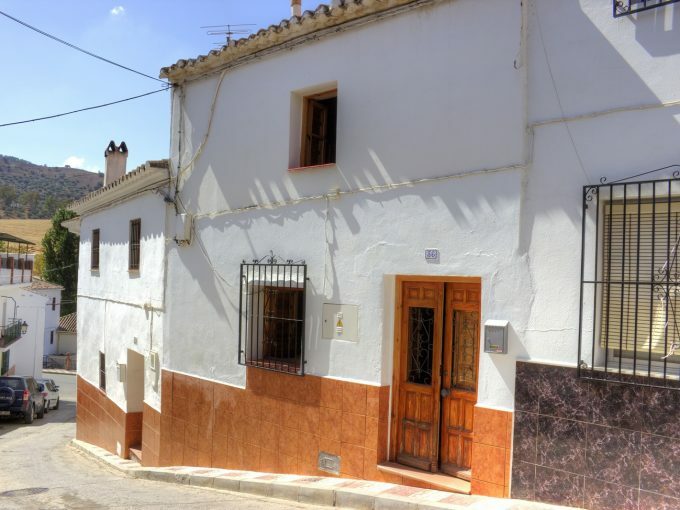 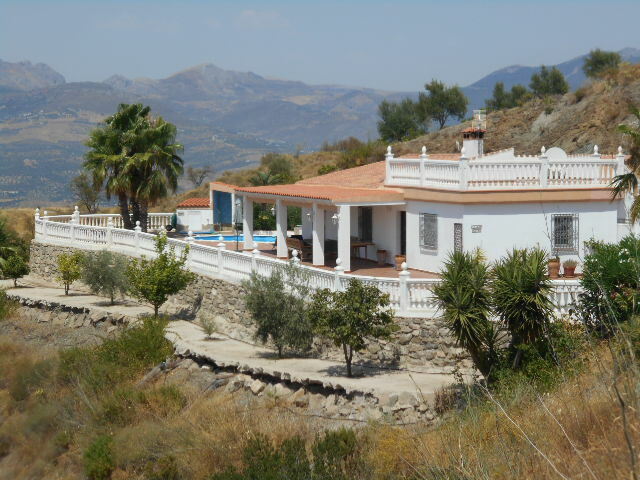 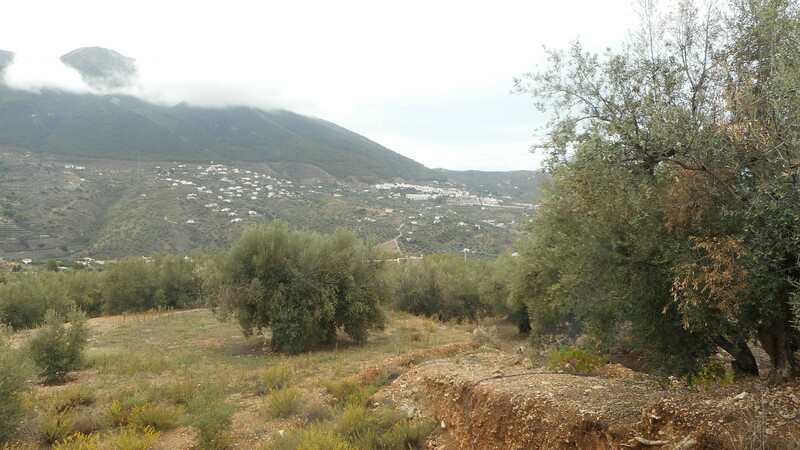 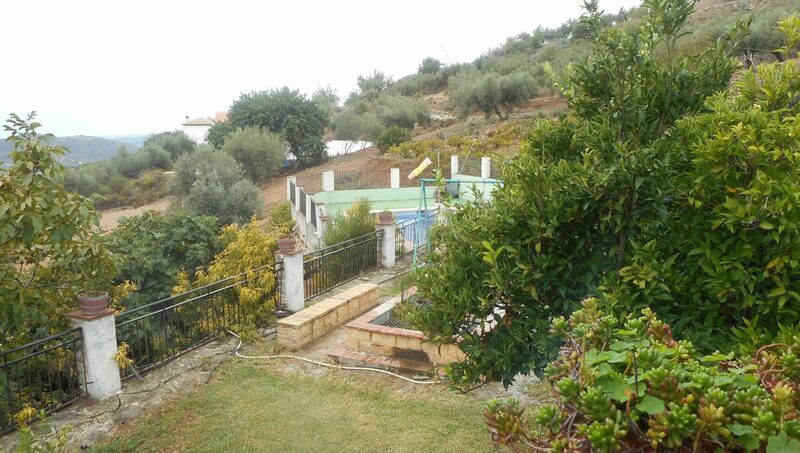 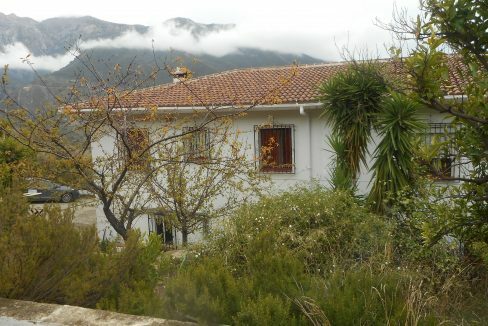 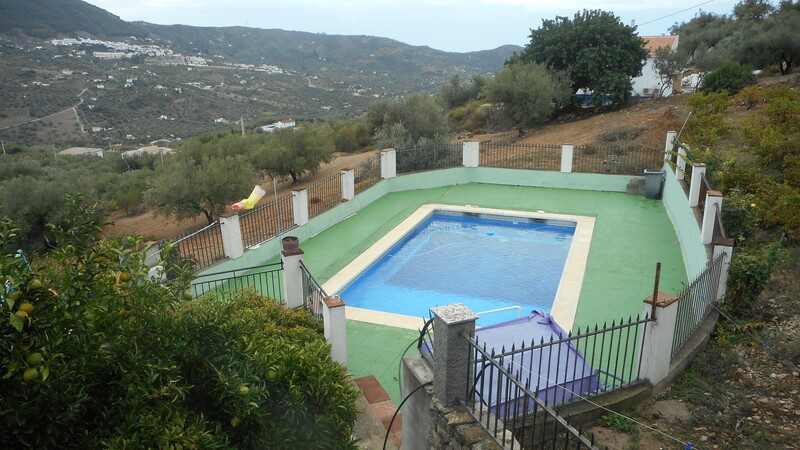 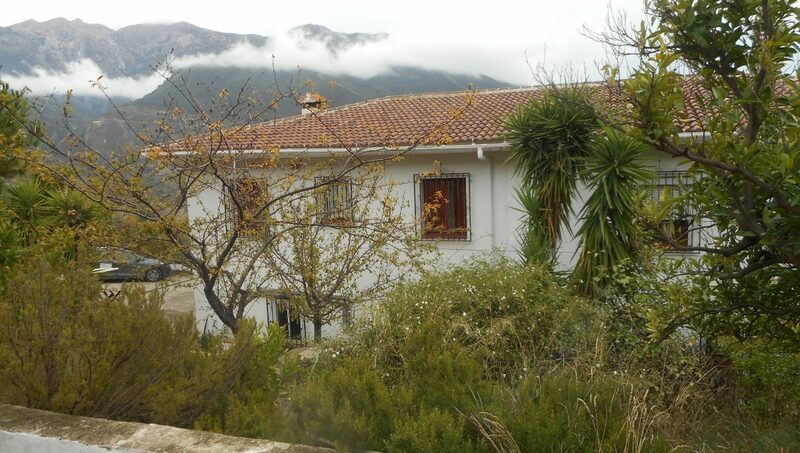 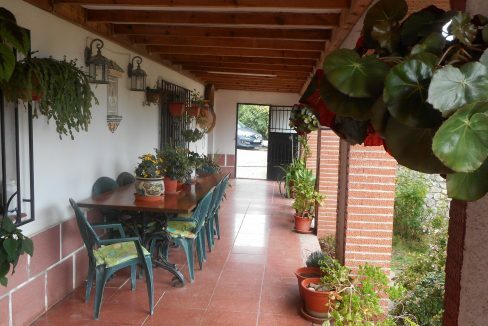 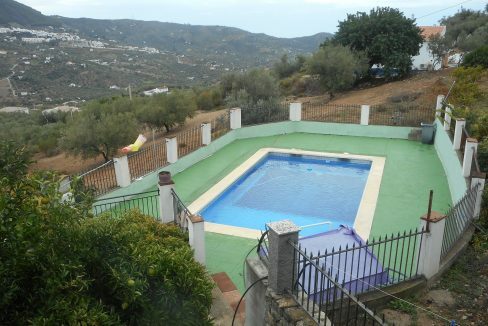 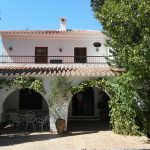 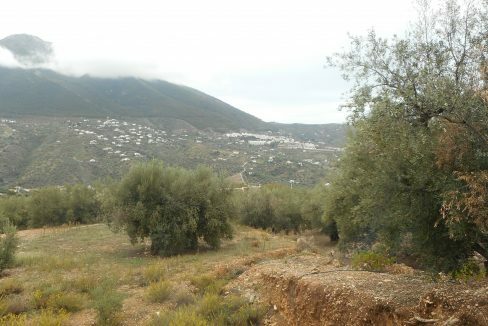 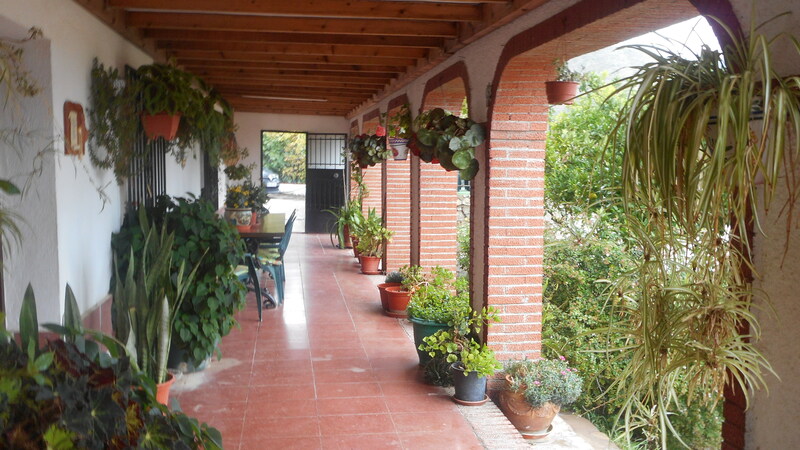 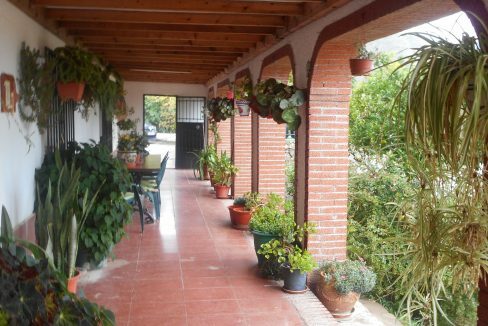 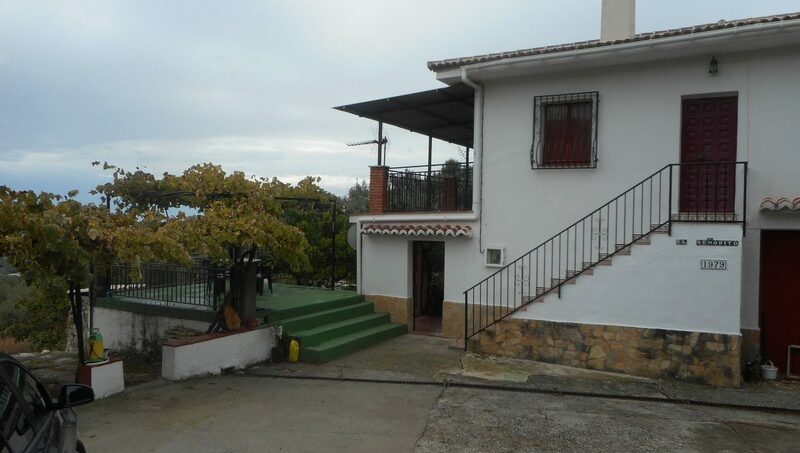 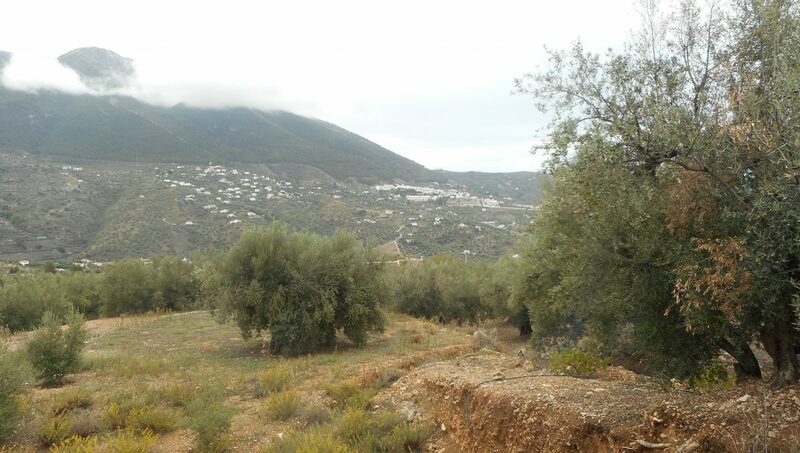 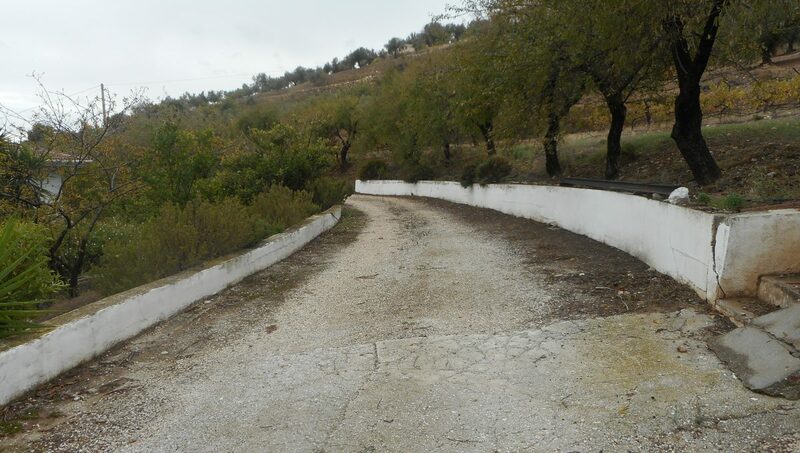 A very large spacious Cortijo set in the area of El Pilarejo, in the Municipality of Alcaucin, with 360 degree panoramic views of the mountains. 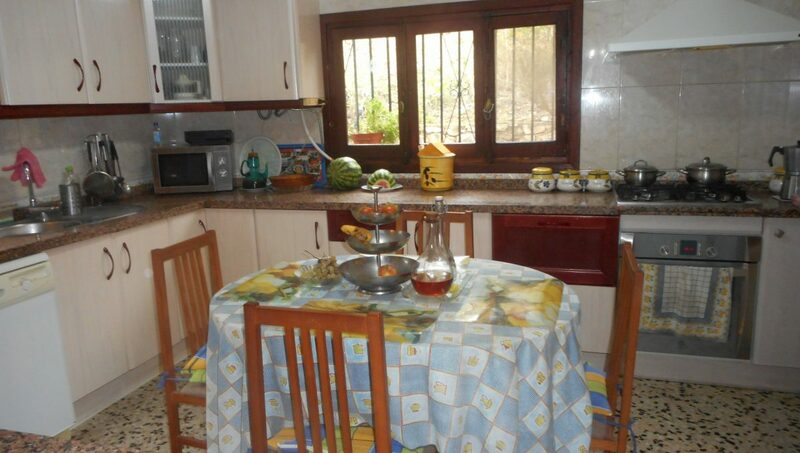 Set in a quiet private location with very good access and close to all amenities. 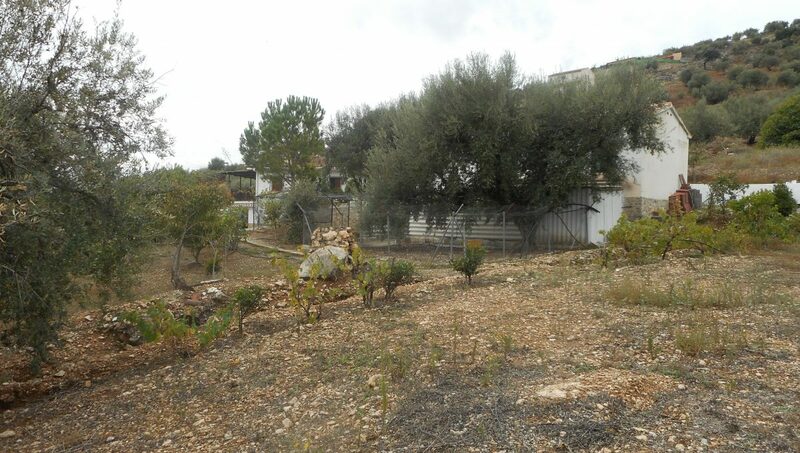 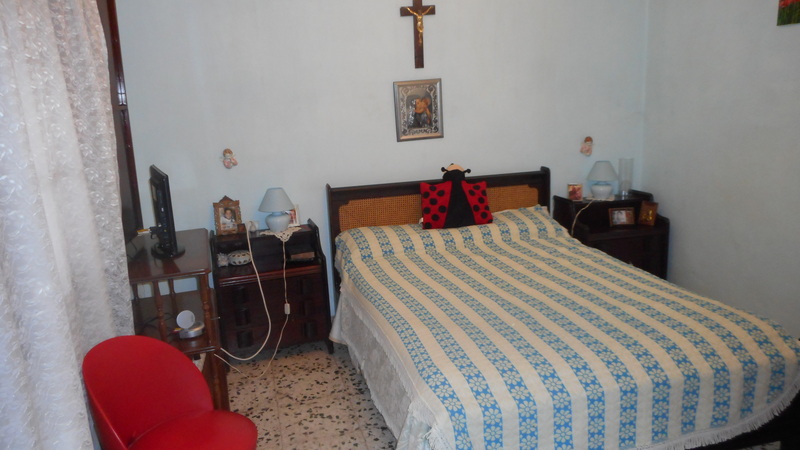 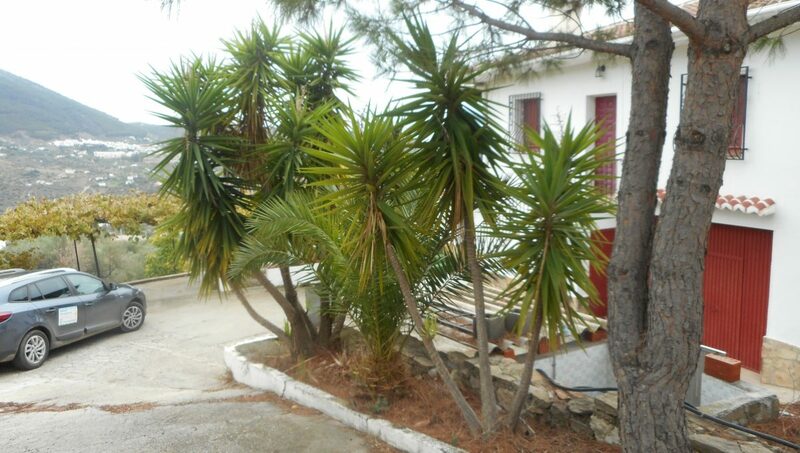 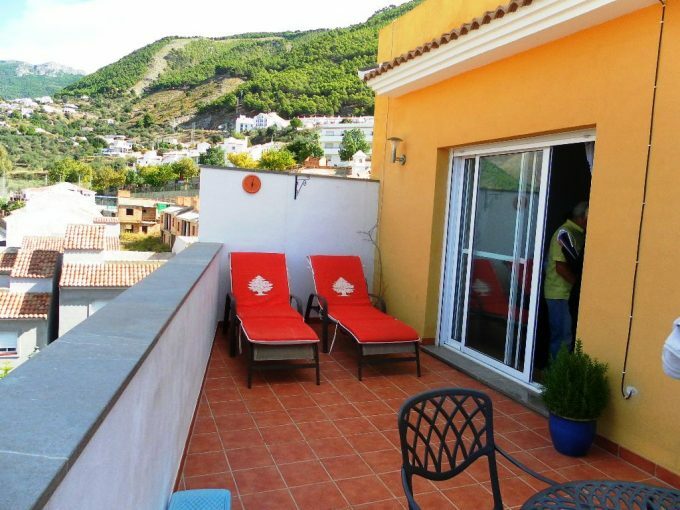 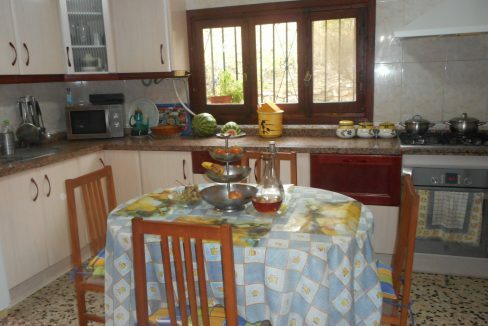 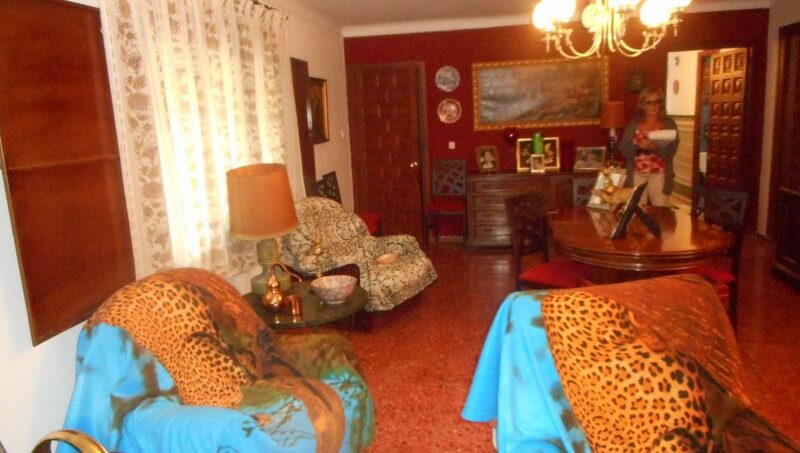 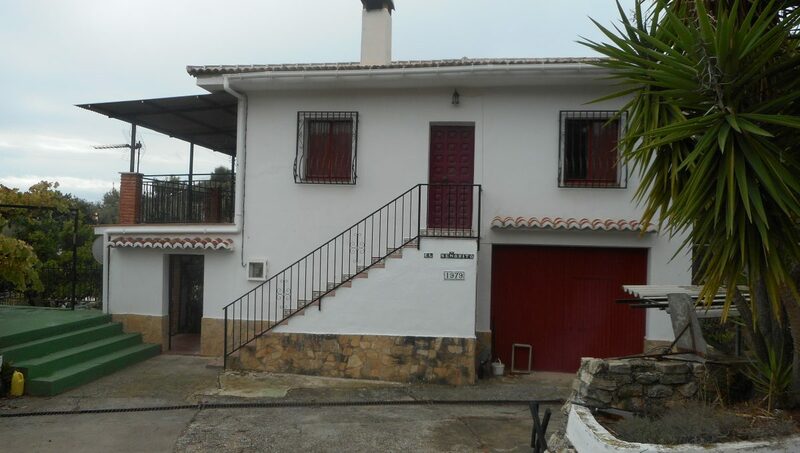 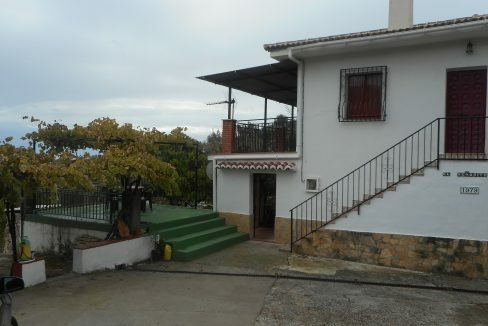 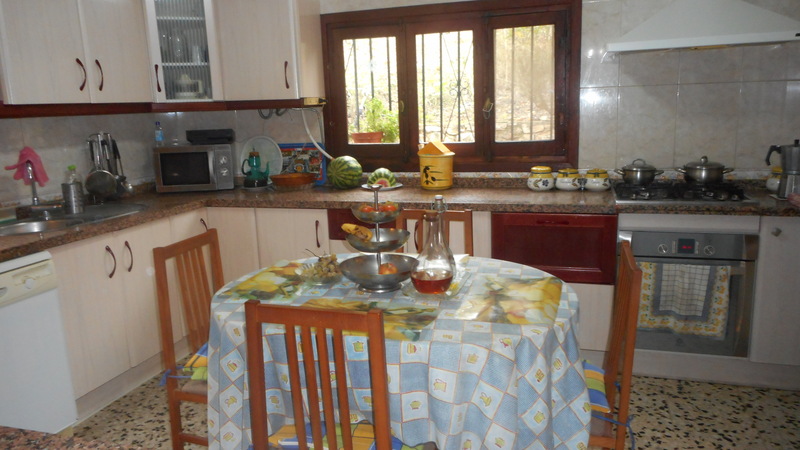 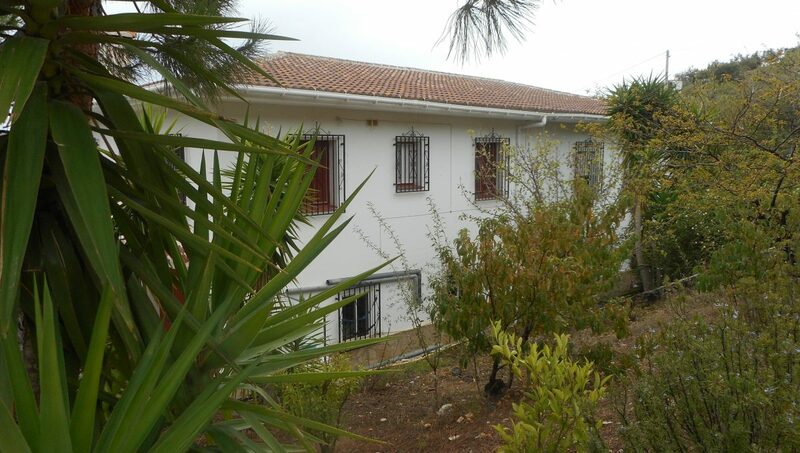 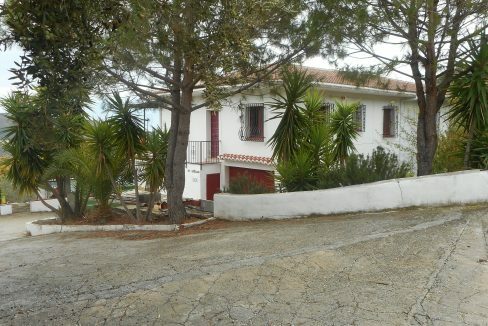 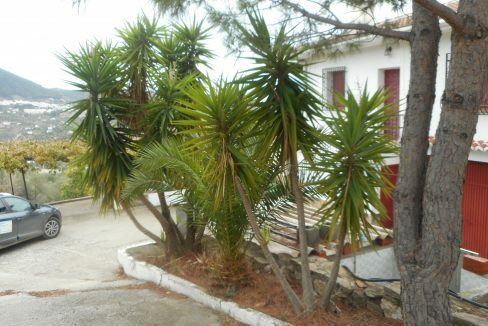 This property is very versatile and has the benefit of a separate apartment with own entrance. 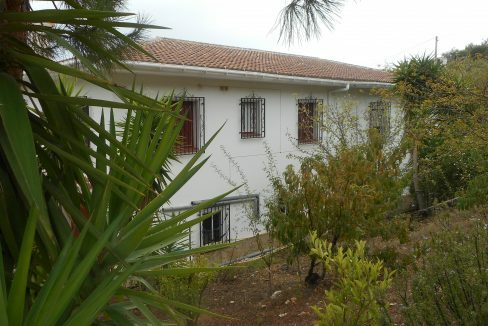 Main house has 4 bedrooms, 1 double on ground floor, 1 further double, 1 single, 1 large double, all with free standing wardrobes. 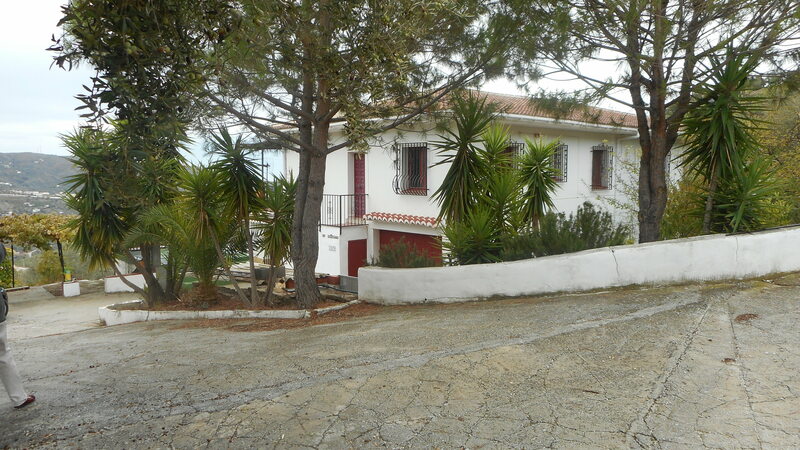 Also on the ground floor is an office and an integral garage which could be made into bedrooms 7 and 8. 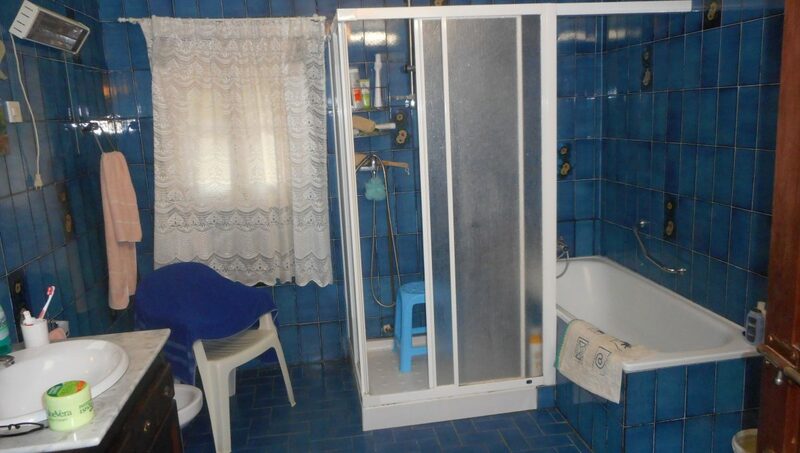 Ground floor has a very large bathroom with bath and shower. 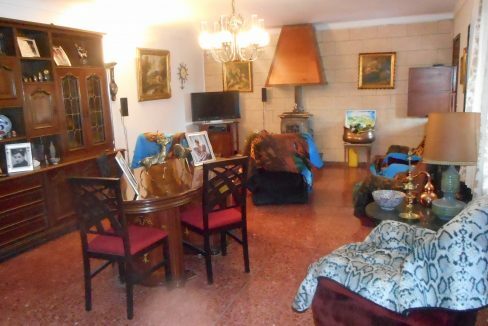 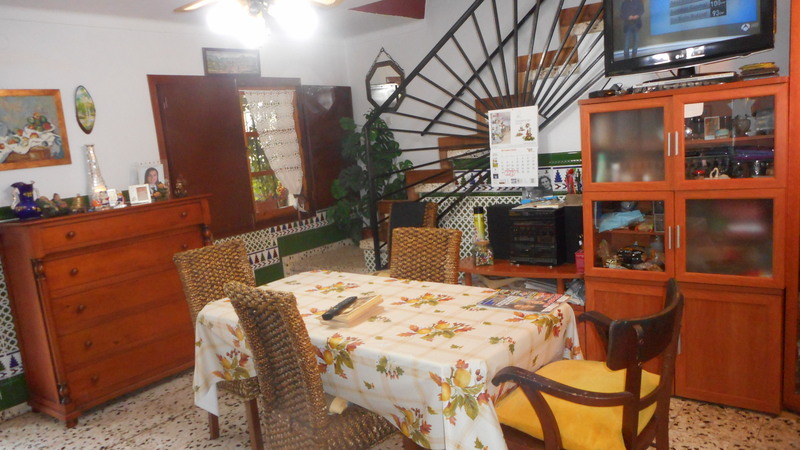 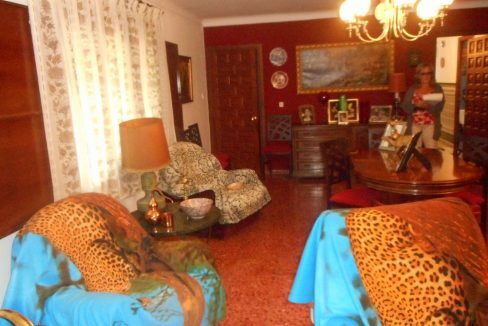 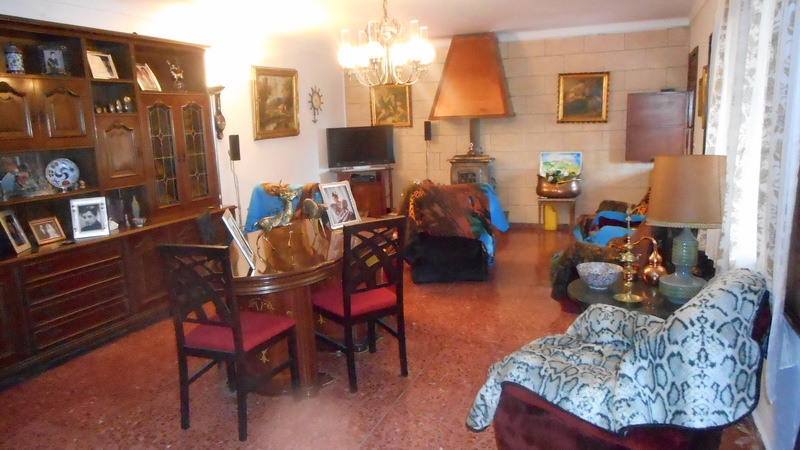 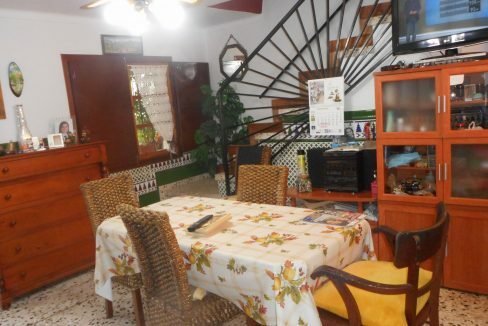 2 living rooms off the covered terrace with door to kitchen/diner and stairs to upper level. 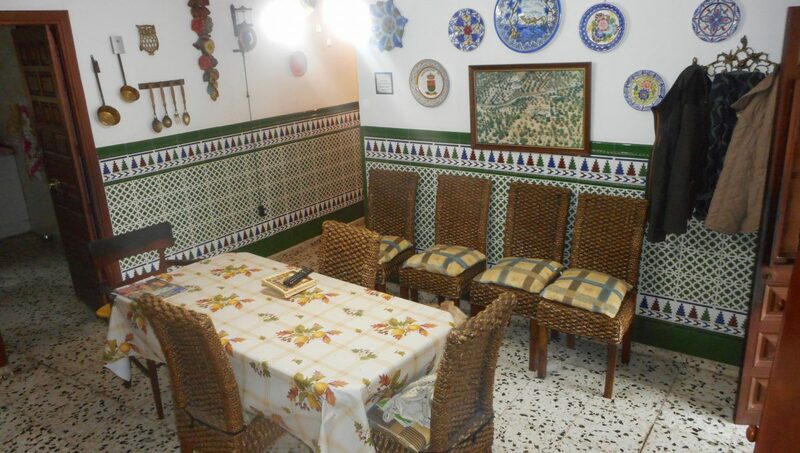 Separate large dining room with log burner and door to terrace. 2nd floor reception landing and covered terrace off, bathroom with double shower, bidet, bath with shower over. 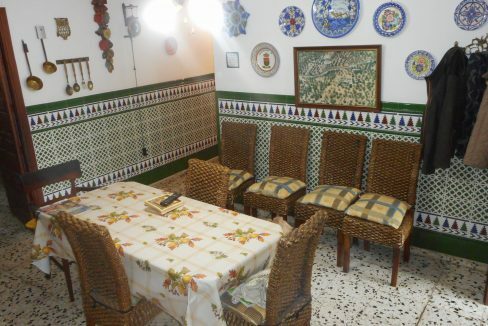 Large storeroom. 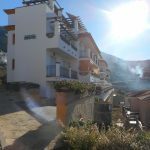 Separate apartment with its own entrance has a lounge, kitchen, bathroom with bath and bidet, 1 double bedroom and 1 large double bedroom with freestanding wardrobe. 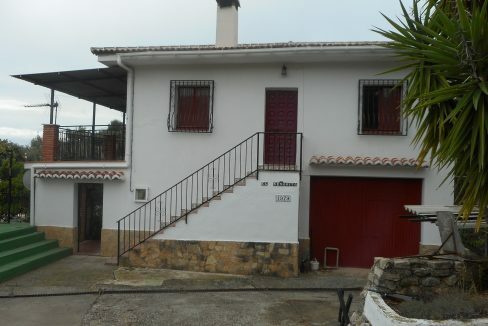 Large private garage of 60m2 with enough room for 3/4 cars and a Bodega. 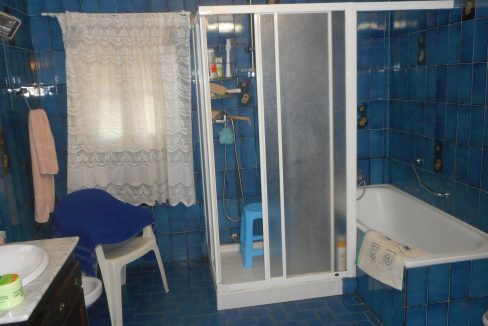 This could also be a separate apartment. 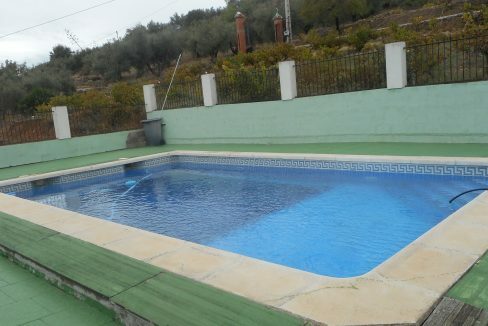 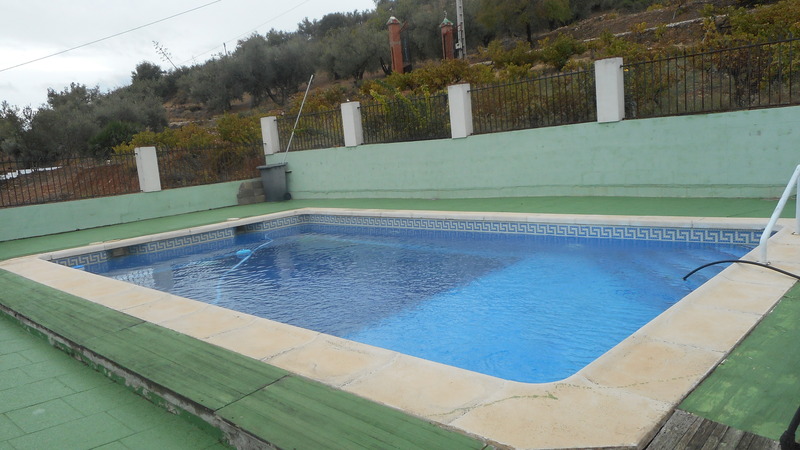 Private 5 x 9m pool with lawned area around and mature gardens with auto irrigation, BBQ, covered terrace. 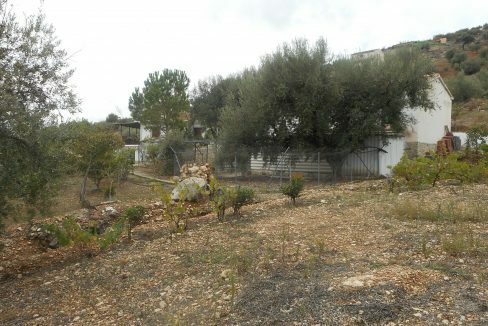 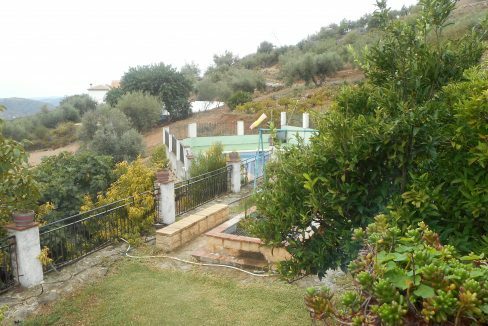 The Land here is very fertile with many fruit trees and steps up to the covered terrace which is the length of the house. 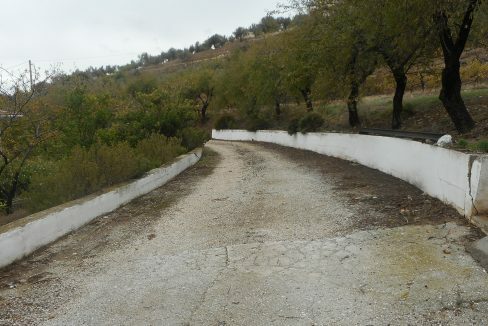 10,000 Litre deposito under the terrace covered with vines. 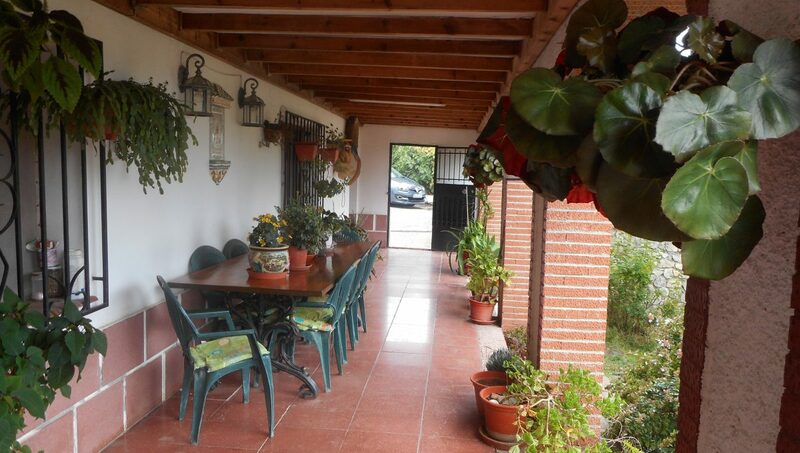 Property is gated and benefits from solar water supply. 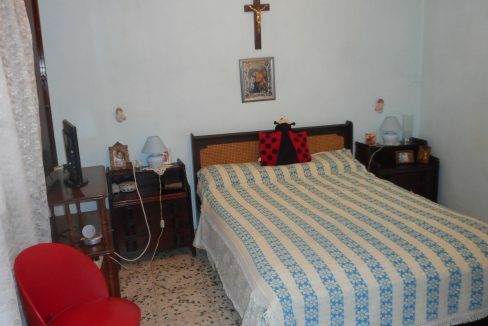 Property is in good condition but needs renovating or modernizing.